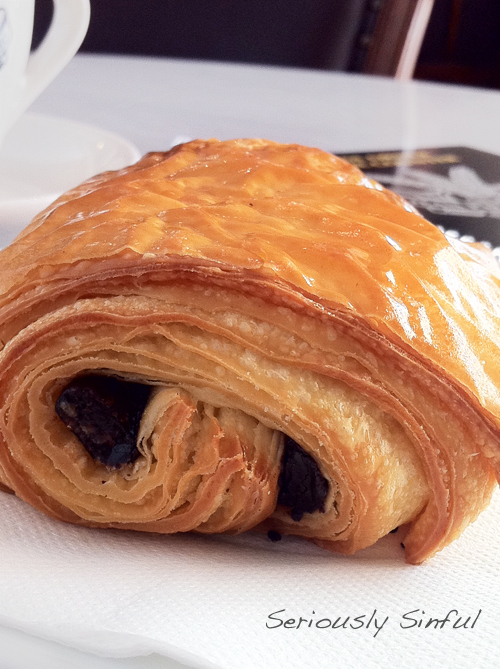 I used to live down the road from a really good french pâtisserie along Nedlands. Of course, I fell in love with it - and since I now live in Perth city, I figure why not give Jean Pierre Sancho a try? 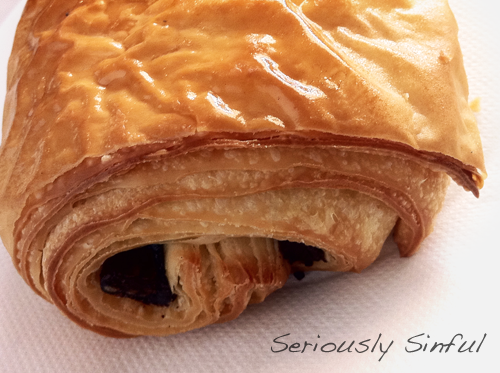 It was after all, recently named Australia's best bakery on Sunrise News. So I took a 1.6km walk there (hey, it was a beautiful Saturday morning). Tucked in the corner of Hay Street and Shafto Lane, I almost missed this unassuming cafe. To the amusement of the table next to me, I spent the next couple of minutes snapping photos of my food when it arrived. But look at that croissant! It deserves to be immortalized in pictures, if not in memory. Cos we all know the ultimate fate of food in one's tummies... anyway. A minor gripe I had was that I wasn't offered the choice of having it toasted. And I was pretty sure the staff didn't toast it before bringing it to my table. As you can see, the pastry is circled by a buttery shell that literally 'cracked' off the croissant with a nudge from my fork. In one intact piece too! Reminded me of a snake shedding its' skin. I found the pastry to be rather doughy. Could be quite bit heavy later in the day, in fact. The chocolate wasn't bad at all, but it just lacked a slight 'wow' factor. La! The coffee! When I took a sip of the coffee I just... sat there. And quivered. And sat there. And quivered some more. So smooth! So delightful! Just like silk! 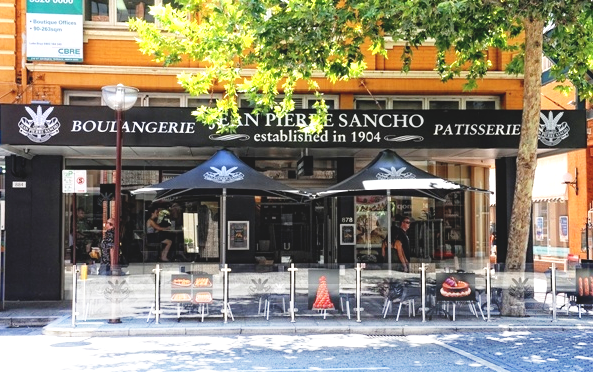 I can conclusively claim that Jean Pierre Sancho serves possibly the best coffee in Perth that I've had in a long while. The blending of flavors are very subtle as well, and OH YOU JUST HAVE TO GO TASTE THIS YOURSELF. I didn't care very much for the biscuit accompanying the coffee - it tastes like shortbread of some sort but it was much too chewy... I just left it uneaten. 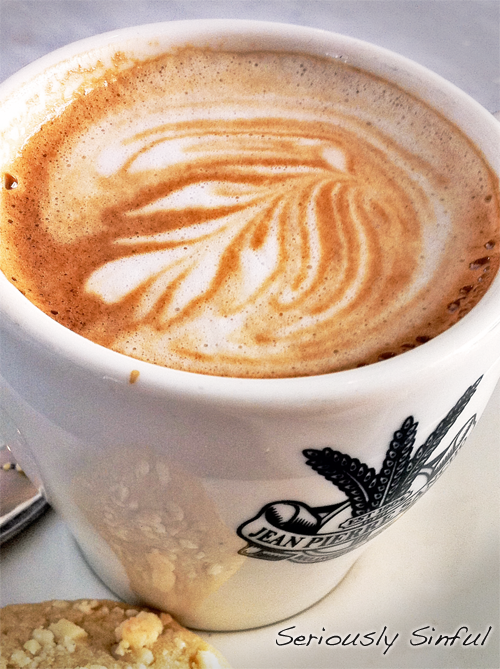 Either way: GO THERE FOR THE COFFEE. Oh, and they sell macarons for $2, which is the cheapest I've seen in Perth so far. Not that I tried the macarons there, but probably worth going there for tea some day! Saturday - Sunday: 8 AM - 5 PM *** Now open Sundays!